With the thousands of man hours and dollars spent on getting your website on the first page of Google, the last thing you need is for people to be turned-off by seeing negative reviews in your Google My Business page. Having a great website & an ad in the Yellow Pages was all you needed once upon a time to get customers calling in, but not anymore! Before searchers get the opportunity to visit your page, the first thing they see, which might make or break the deal, will be your Google Search Business Profile, also known as Google My Business (GMB). You know what I mean: that box at the right with a picture of your business that has your contact information and a link to your website. If you didn’t know how important this resource is, you soon will. This, by the way, is not the same as the Google Maps Local 3-Pack. When you search for a business within a locality, Google will show the top three picks, accompanied by the business locations on a map. 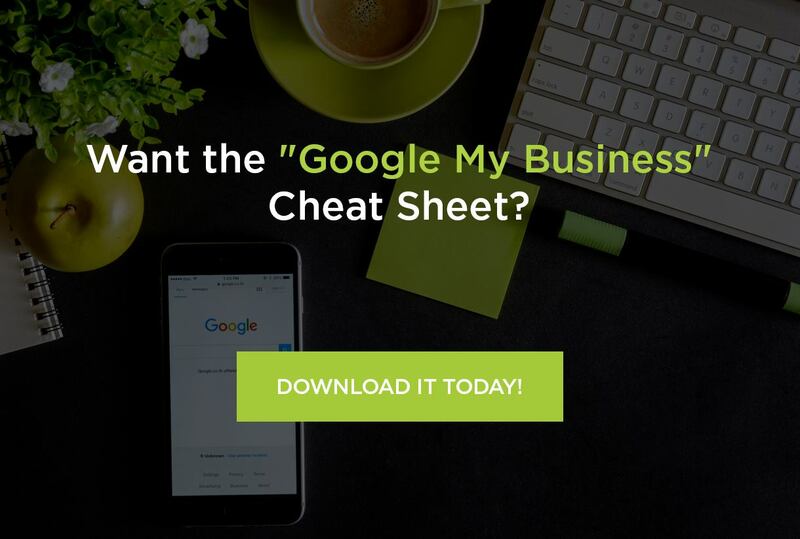 While this works with Google My Business and is a valuable resource in its own right, making the top three isn’t quite sufficient – your business also needs an effective Google My Business listing. 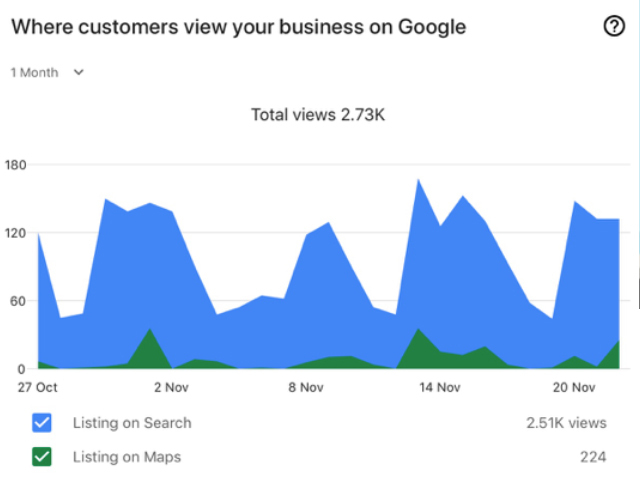 Google My Business: What exactly is it? In all likelihood, you have seen a GMB listing for your business, but there are still a lot of misconceptions about it. You have probably wondered what it was and how people get them – what you really want to know is how much they paid to get it. Surprise, surprise, GMB is a totally free resource which allows you to make any changes you like to it. The aim is to allow potential customers to get a snapshot of your business, before they decide if it was what they were looking for. It almost makes “fancy websites” pointless, as many users won’t proceed to your website once they have the information they were looking for. On the other hand, it can also help you get clients who otherwise may have been discouraged by your web content. In either case, a well structured GMB page will help your business, but a poor one will hurt. GMB is a must for every local business looking to reward their local SEO efforts, stay in business and attract new clients. We get it too – the need to constantly jump on every new digital marketing hack can be exhausting and expensive, especially if you don’t know which one will deliver a Return on Investment (ROI). So, why should you use or care about Google My Business? Simple answer is that you kind of have to. Whether you want it or not, you will have a GMB profile of some sort, either done by an employee, a well-meaning stranger, or in some cases, a sneaky competitor. The question you should be asking though, isn’t why you should have a GMB listing, but why not? The modern shopper is enthralled by visuals. Call it the ‘Instagram Effect’ – people want to see pictures and videos. But instead of trying to turn your website into a gallery, you can do that with GMB. When people search for your business, the first photo that comes up could effectively make or break the deal. If people like what they see, they may click on your profile, where you can further sell yourself with more appealing pictures. GMB gives you a chance to show your impressive signage, décor, menu items and products in a way words never can. If your business does not have any pictures, then potential clients might go searching elsewhere, but we don’t want that, do we? Google and its clever algorithms are always trying to make sure they never get outsmarted by dummy corps. If the search engine brings up a business listing, it wants to make sure it is a real company and there isn’t an online fraudster behind it. One of the ways it accomplishes this is by locating businesses mentioned in reputable sites. If there are a lot of people talking about your business, that’s good for you. Another way it does this is by having a database of verified businesses. 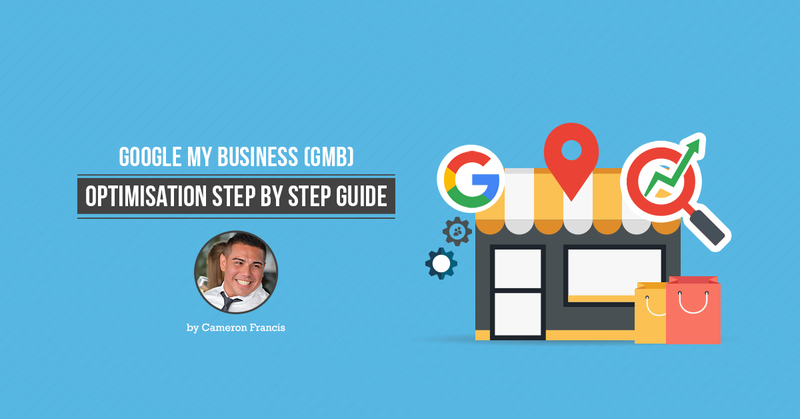 When you verify your business with GMB, it is clear confirmation that you indeed run a business, and if people visit your store, they will meet precisely what they expected from your profile. So even if your business is new and people haven’t had the chance to discover it, having it verified will help your ranking. Why are people looking up your business? They want what you are offering and would like to know if you are the right fit and they want to know it now! By showing them images of your exceptional products and services, you are able to make a strong first impression, even if you don’t have a website of your own. Maybe you are one of those trying to survive strictly on social media, and can’t be bothered to fork out thousands of dollars on a website. You can however, create a mini-website within GMB, free of charge. Another benefit of “Google My Business” are the reviews. Previous customers can leave feedback on their experience with your business, which can be the social proof required to convince visitors to enquire. Obviously, poor reviews will hurt, and there will always be that one person who has only nasty comments, but even this can be turned to your advantage by interacting with them, displaying quality assertive and empathetic customer service. By offering users information they can’t easily get from your competitors, you stand a chance of gaining more clients and it won’t cost you very much. As previously mentioned, GMB allows you to see reviews from past visitors. Reviews can make or break a company, especially when they are ignored. Good or bad, there is always something to learn when your customers give you feedback. If your sales are strong or struggling, you can easily find out why, without the need for an expensive consultancy company. Besides the reviews though, you also get to learn about your consumers from the analytics tools available. Information you may not want to request from clients are served on a platter with ‘Insights’. The Visibility, Engagement and Audience statistics will reveal a wealth of knowledge. You can easily discover which posts and photos get the most likes, the age, gender and location of your followers/visitors, for as far back as 90 days. If this isn’t enough, you can also ‘Hangout’ with your clients. This is another effective customer service tool that will help you interact with customers and inquisitive minds. People are not always chatty or open in person, so interacting this way could help you get more in-depth knowledge from your clients and give you a better idea of what your buyer personas are searching for, why, when and how. Google My Business helps you bring all your google-related activities under one banner. This allows you to maximise your Google+ page, searches, website, Google AdWords etc. with a simple to use tool. Having separate platforms can be tricky to manage, but when you have it all under one place, it gives you better control over your marketing efforts. GMB is a great opportunity to do for your business what wasn’t possible a few years ago. You get to give customers immediate, meaningful insight into your business, without them having to first go to your website, then get to your contact us page and then maybe even have to call someone from your office. Nobody has time for that, particularly people on the move. The benefits you’ll receive are dependent on just how developed your GMB listing is. We encourage clients to take full advantage of this free resource and it is time to show you just how to do it. The first step is to claim your listing. Apparently, there will be a default listing for your business already, but you need to establish that it is your business, and you are ready to turn it into a dynamic marketing channel. It is very important to claim your listing before someone else does, and yes, that does happen. The first thing you should do, is to search for your business. 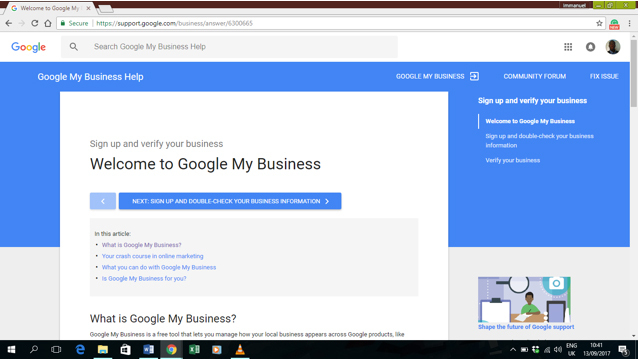 If it does not come up, then go to the google my business page and sign up to verify your business. Once you’re through with the preamble, click on ‘Sign Up and Verify Your Business’. You will be asked to impute basic information and then you can verify your business. In all likelihood, your business probably showed up with a GMB listing when you searched for it. If neither you nor anyone else in your organisation set up the page, your listing should show a link tagged ‘Own this business?’, just beneath the address and phone number. What you will need to do in this case is click ‘Own this business’ and go ahead to verify the business. If the information is not correct, you can edit it as you proceed, but first, you need to get and put in your verification code. To get your verification code, you will be contacted by phone, postcard or mail, at the address you specified. If your business website has been verified with Google Search Console, you may be able to verify it instantly. With your verification code, you are free to amend the listing to your heart’s content. In some rare instances, duplicate listings occur, with more than one of them being verified. In order for this to occur, the listings will have slight changes, such as a different business name (Mitchell’s Hair Salon vs. Mitchell’s Beauty Salon), different address or other minor changes. This could happen due to circumstances beyond your control, or intentionally. We will deal with the latter later. As the owner of a business, you could delegate the task to a team member or a digital marketing agency. Why Do Duplicate “Google My Business” Listings Matter? Quite often, duplicates will happen intentionally. Many practitioners think it “wise” to create or deal with duplicates because they think it will boost their chances of being ranked higher. While this may seem clever, it is in violation of Google’s guidelines. Google could find out about it and delete either one of the entries, or all of them. Customers may be confused by conflicting information and could be discouraged by your business. The listing done by a third party could outrank yours. Reviews will be shared across listings, thus costing you a higher ranking. Competitors or consumers could report multiple listings to Google and you’ll be penalised. Duplicate listings can be created in different ways, and each one has to be dealt with accordingly. Moz has a full list of different scenarios and how to resolve each one. The most serious offense of the bunch, is when someone creates a verified listing for your business without your permission. But luckily, even in this situation, it can be resolved by contacting Google and via some legal documents, prove you own the business. Step #3: Make Sure All Your Business Information is Consistent and Accurate. Once you’ve done the easy bits and have verified your account, it is time to put in all relevant information. GMB doesn’t ask you for much besides your contact details and operating hours. It goes without saying, that your business name, address, phone number and business hours should all be accurate. The last thing you want is customers showing up at the wrong place, or calling a line that you hope will be up and running, or go to a website with a 404 greeting. It is important to keep all contact details the same on every platform, including your social media pages. While your details on other platforms won’t affect your GMB page, it won’t sit well with your customers, if they spot the difference and begin to question your credibility. Your verified listing might take up to 3 days to appear on Google, but don’t let that stop you; you can begin adding to your profile immediately. Posts on GMB are an easy way of telling customers what you are doing, such as giveaways, special events, new location launches, date night, whatever. A photo with short, compelling content can get you on your way to receiving rave reviews and increased foot traffic. It works like a blog post, from right within your page. As expected, you can review the post before you publish it for the world – or your local market – to see. GMB does a fine job of imitating Instagram, which gives companies a chance to use pictures to draw customers. Google’s guidelines for pictures are fairly typical – don’t use vulgar or offensive images, don’t infringe copyright laws and make sure to use high quality images. Besides that, it is up to you and/or your marketing agency to determine which pictures will best suit your business. The aim is to attract customers to your business, so it does help to put a picture of the front of the company, though you don’t necessarily have to make this your profile picture. Your profile picture should encourage users to click on it and discover more, so if the exterior of your building is not the most attractive, find a better alternative. If you’ve been wondering why your business doesn’t show up on local searches, this could be the reason. Google only recommends businesses with accurate and relevant information. 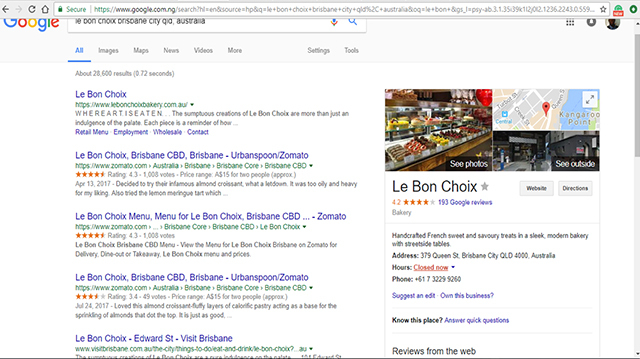 Referring to your business as the best bakery in Australia sounds great, but it doesn’t help your local search ranking. People need to know WHERE to find you. Google My Business is primarily for local search, which is why you are required to add your street name, town, city and postcode, to ensure you show up in the right locality. For companies with many branches, it is not uncommon to include the location as part of the business name e.g. Tony’s Bar Melbourne, so they show up on local searches. NOTE: you should only add a city name or keyword if you normally include this in your business name. When setting up your profile, use ‘Category’ to help people identify the main service or services you offer. Also, be careful to use the right keyword to identify your business e.g. are you a drugstore or a pharmacy? Choose a description that will get you noticed more. Your category name should also be specific – Chinese Restaurant, instead of just Restaurant. But not so specific that no one looks it up – Traditional Peking Inspired Chinese Restaurant. Luckily, Google won’t even allow you do that. You have to choose a preset category. If you would like your business to be known as a beauty parlour, but most people use the term beauty salon in their search, then by all means, list your category as ‘Beauty Salon’. For businesses offering multiple services, you can use additional category to let people know other services you offer. If your other services are vastly unrelated to the main category, you might want to create a separate listing for that service, even if it is on the same premises. Most people don’t want to be the first to try something new. They would much rather be referred to by someone that can vouch for your business. If they don’t know anyone personally, they will rely on the reviews on your page. Think about it – when was the last time you used a new product, went to a restaurant or even watched a movie without first reading the reviews? 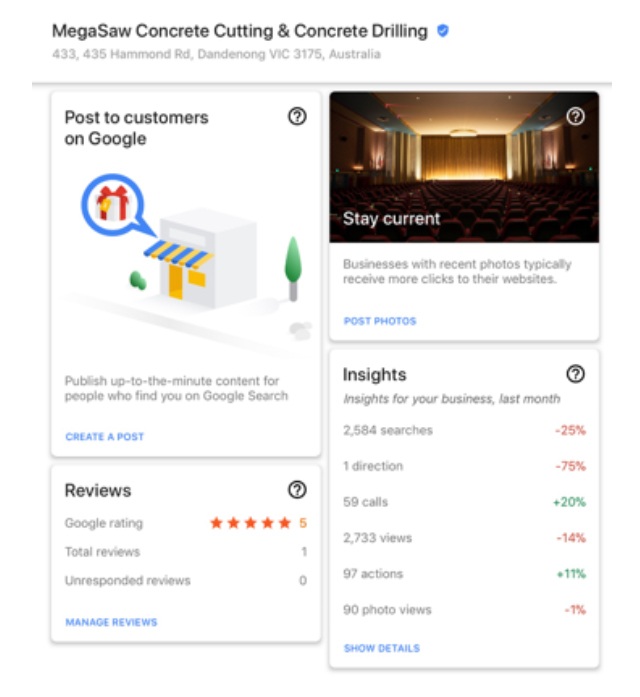 Reviews are the currency of Google My Business. They help determine your net worth as far as searches are concerned. The more reviews you get, the higher you can show on searches. Obviously, you want to get only positive reviews, but unless your business offers a brain-washing service, this is highly unlikely to happen. The good news is you can respond to reviews and maybe even convert a few naysayers. For savvy businesses, even negative reviews can help you by exposing areas you need to improve on. Then you can invite the displeased customer back to see the improvements. Most people will read reviews before making a decision for or against your business. Reviews let people and Google know you are in fact a real business. They give you credibility and encourage potential customers to lean in your direction. Now that we have established that reviews are SEO gold, and can actually help you get more customers, the only question now is: how can you get more reviews? Ask customers to go to your GMB page and leave a review – you don’t necessarily have to offer an incentive, as most people would gladly do it, especially if they really loved your service or if they hated it. So, be sure to only ask the people that had a great time. Wink wink =). Use Automation software – automation provides a quick and easy way to get clients on your mailing list to leave reviews, without you having to do it in person, if you feel too shy. Respond promptly to reviews – by engaging with reviewers, customers get the sense that their opinions matter, and will be more inclined to leave a review as well. It does of course, depend on how you respond to both positive and negative reviews. Copy and paste responses might as well be replaced by a straight face emoji. Do an INCREDIBLE Job – when your service is incredible, people will talk about it, rave about it and review you earnestly and frequently. So really, the best way to get reviews is to do your best. Whether you want it or not, people will talk about your business. Be it in newspapers, blogs, social media, review websites, online directories etc. Local citations – mentions of your business name, address and phone number – are good for business, but only if the information is correct. Local citations will boost your local ranking, provided, again, that the information given is accurate and the same across board. Every company should take control of local citations, by ensuring they are properly listed. As there are loads of different sites and avenues to get citations, this work is better handled by automated services or via marketing/PR firms. Enough can’t be said about the beauty that is Google My Business. It is by far, one of the most important services provided by Google and it is a great opportunity that every business should take full advantage of, and not just because it is free. There is a lot of room for creativity with your page and the information you provide and how you provide it. The most important things to note are: use accurate information ALL THE TIME, use compelling pictures to sell your brand and engage with your followers, oops, I mean clients. Once your page is up and running, do ensure you are constantly responding to reviews (as often as needed) and you are updating your photos to keep them fresh and relevant. Above all, keep offering the best service you can, so that when customers walk through your doors, they won’t end up on someone else’s GMB page next time. If you have found these Google Maps ranking tips helpful then jump onto this Google My Business Checklist for more information.